Mega set QUAD F450 APM2.6 + cameras. FS-i6 and odb. - Actuna Sp. z o.o. > Ramy>Mega set QUAD F450 APM2.6 + cameras. FS-i6 and odb. Mega set QUAD F450 APM2.6 + cameras. FS-i6 and odb. 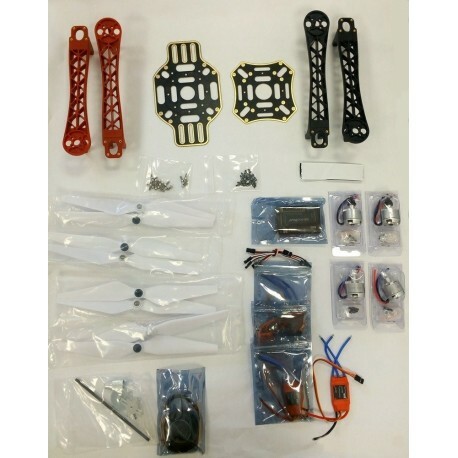 Quadcopter self-assembly kit with 450 mm motor spacing, with FlySky FS-i6 apparatus and FS-iA6 receiver. Frame designed for recreational and semi-professional use. QUADCOPTER F450 kit - APM 2.6, ESC, engines, propellers and more! with FlySky FS-i6 and FS-iA6 receiver. Frame designed for recreational and semi-professional use. as well as beginners who do not like small sizes of drones.